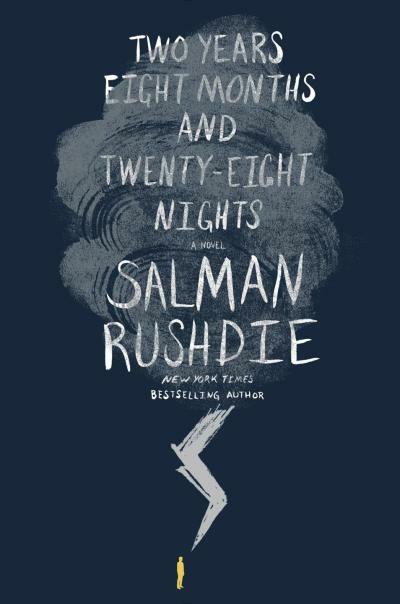 When you set out to read a Salman Rushdie novel, you can assume you will encounter a few things -- extraordinary characters (and ordinary characters, of course), history, philosophy, and irreverence. 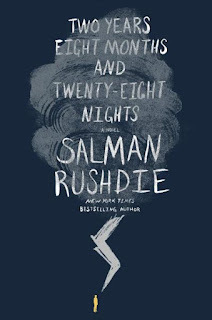 Rushdie does not disappoint in Two Years Eight Months and Twenty-Eight Nights, a tale of rivalry -- that of evil versus good, religion versus reason, and fear versus knowledge. 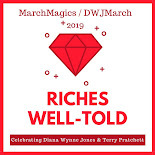 Our narrator lives in a world one-thousand years from now, where a War of the Worlds--our world and the supernatural world of the jinn--has happened now, in our time, to bring about an age of enlightenment. What you will encounter in this book are strangenesses: people who float and others who are crushed, human lie-detectors and human lightning rods. You will also find many normal people--poets, philosophers, landladies, and wives--who are drawn into the fantastic by those around them and are brought to their knees, some at the whims of evil Ifrits, others by the hands of their own fellow men, and finally some by mere chance. And finally, you will find love -- some true and original, some mere shadows or facsimiles of those loves. If you are familiar at all with Rushdie's views and novels, you will probably guess what event, what change in the hearts and minds of men, could bring about peace and enlightenment for centuries. It will not be a viewpoint popular with all readers but his reasoning and his use of modern-day examples of corruption and failings in humankind are undeniable. This book made me sad about the world we live in and left me wondering if there is an actual way that we could eventually attain a world of peace and brotherly love without the intervention of supernatural forces. I enjoyed this read, however painful it was. p.s. I received an advance reader's edition of this book from LibraryThing. I still have not read anything by Rushdie. He is one of those authors (and there are many :P ) that intimidate me for no good reason. But this really does sound like something I might love a lot. This is one of his most accessible (and shortest!) books. He's a little wordy at the start but then the story gets going and it's an easy read. I think it would be a good place to start with Rushdie! For now I'll give this one a wide berth. What I need right now is faith in humanity and lots of it! I'm with Debi--for some reason Rushdie really intimidates me (though I did love Midnight's Children). Glad to hear this one is short and accessible...even if a bit haunting. I'm scared for my children's future. Every day it seems to get scarier and scarier out there. I absolutely agree. It was depressing to see it all spelled out but it also made me feel a bit better in a weird way. I think it was the fact that someone else is seeing what is happening. Maybe if enough people acknowledge things, we can start changing them? I'm like Debi...I haven't read any Rushdie yet because he intimidates the hell out of me :p But I really would like to. I've always really liked him as a person and it sounds like this novel touches on a lot of the reasons why I like him as a person despite it being awfully sad. I think I might try this one out! This would be a great place to start with him. Then you can read The Ground Beneath Her Feet which I think you would love because Jenny (Reading the End) and I do!